Make the most out of your kitchen here at the Franklin Commons by cooking a delicious meal this month. 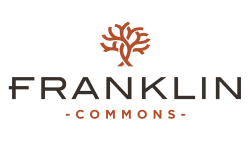 The Franklin Commons has modern and upgraded kitchens and plenty of space for entertaining or having a dinner party with friends. 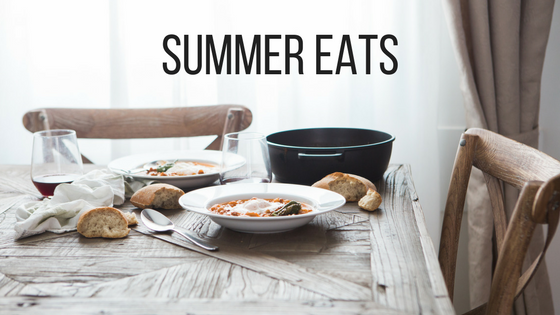 We have five recipes to help you make a salad, appetizer, side, main dish, and dessert for your next summer meal. Toss together a mix of fresh ingredients like baby spinach, cucumbers, strawberries, sweet apple, feta cheese, and toasted walnuts to make the salad. Make your own honey mustard vinaigrette by using the recipe provided. Click the link to learn more. Use a mini muffin tin to make these cheesy loaded mashed potato puffs. Combine together mashed potatoes, eggs, granulated garlic, chopped chives, cheddar cheese, parmesan cheese, bacon, ground black pepper, and cayenne pepper together to make it. Finish it off with your favorite baked potato toppings. Fresh mushrooms, butter, minced garlic, garlic powder, salt, pepper, and thyme combine for a side that goes with almost anything. This side is simple, elegant, and easy to throw together for a late summer dinner with friends. Foil dinners are perfect for hot summer days. Make your own honey mustard sauce with whole grain mustard, honey, garlic, fresh lemon juice, smoked paprika, Kosher salt, and black pepper. Use this honey mustard to season your salmon. This easy treat blends several of our favorite desserts — cheesecake, brownies, and Oreos. You will love how the rich chocolate, sweet but mellow cheesecake, and sweet blackberries combine for a delicious (and unique) dessert. Use blackberries from your local farmers’ market to make this treat. What’s your favorite summer recipe? Let us know in the comments. Thanks for reading our post and have a great month here in Bensalem, PA!